The Angolan Chess Federation hosted the Cuca International Tournament 2012 from 18th to 26th April at the country’s capital Luanda. There were three separate events – Open, Women Open and Blitz. The Open tournament had 30 participants competing over nine rounds of Swiss system. 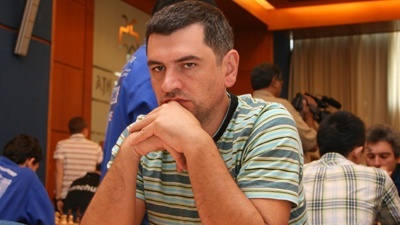 Top seed GM Viktor Bologan from Moldova won seven games and conceded only two draws to take a clear first place with 8.0 points. GM Sergei Tiviakov is half a point behind. Full standings bellow. The Women Open with 17 players was also held over nine rounds of Swiss system. WIM Catarina Leite from Portugal and WGM Alina L’ami from Romania shared the first place with 8.5 points each, leaving the nearest follower two points behind. The Blitz tournament was held on 25th April with 30 participants. Seven rounds were played. GM Ahmed Adly from Egypt convincingly won with 6.5 points, full point ahead of GM Alexandr Fier. Tournament director was Dr. Jose Junqueira (ANG) and Chief Arbiter was Carlos Oliveira Dias from Portugal. Luanda, formerly named São Paulo da Assunção de Loanda, is the capital and largest city of Angola. Located on Angola’s coast with the Atlantic Ocean, Luanda is both Angola’s chief seaport and its administrative center. It has a population of over 5 million.